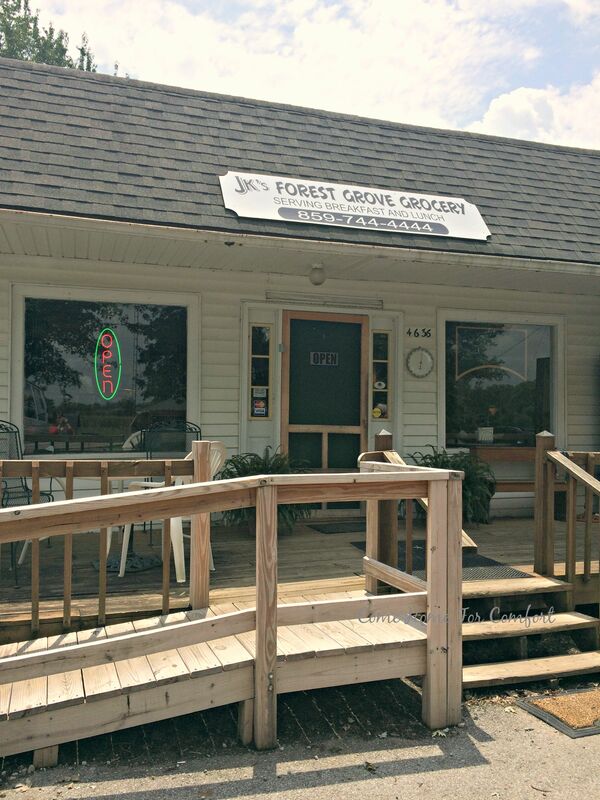 A few weeks ago while visiting my grandparents in Winchester, Kentucky, we stopped at JK’s Forest Grove Grocery for lunch. 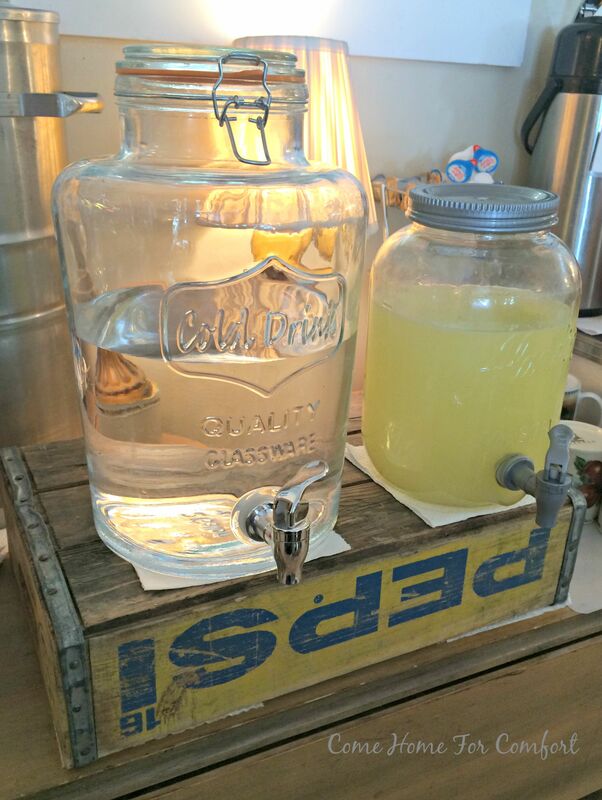 It’s an unassuming name and location – but this place is a slice of Americana! 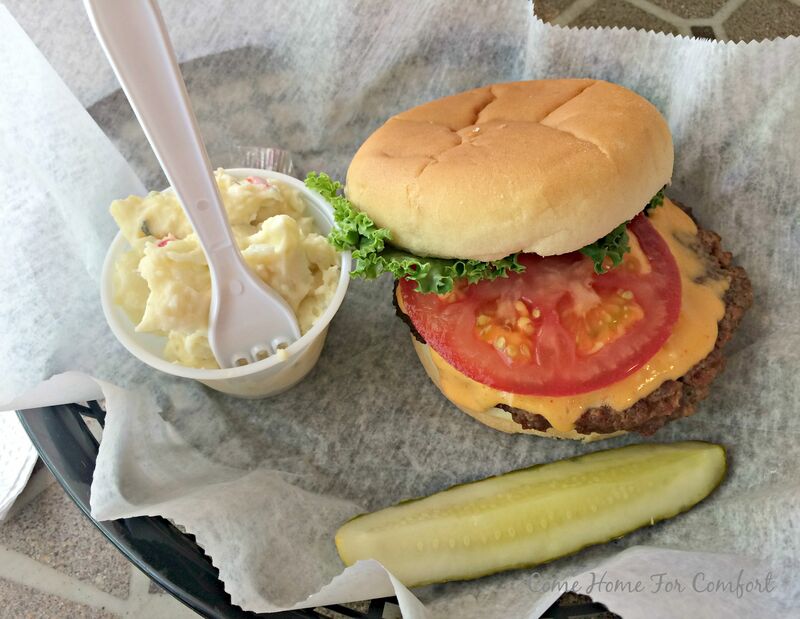 Located on Old Boonesboro Road, JK’s is a long time Winchester treasure. After 10 years of business downtown, they moved out to an old grocery store on a winding road lined with horse farms and limestone rock walls. 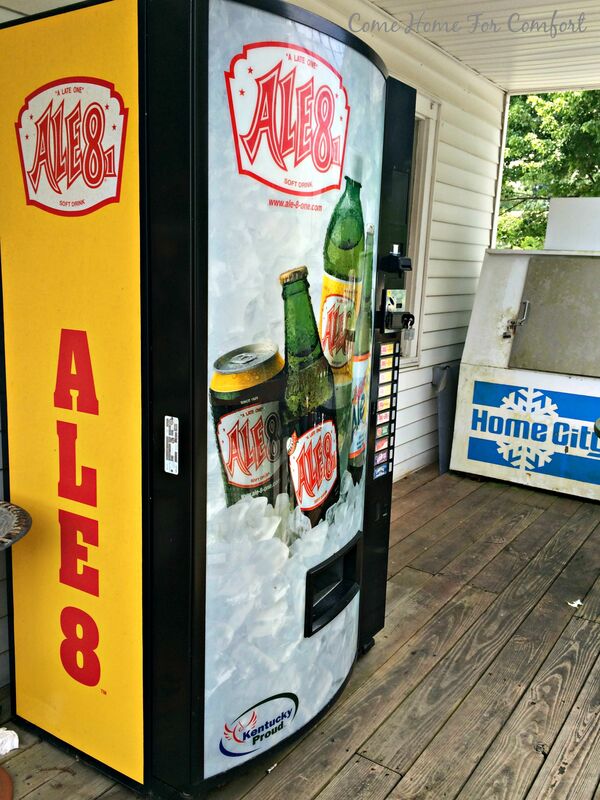 The front porch holds an Ale-8 vending machine (Ale-8-One is bottled in Winchester) and the famous beverage is a major theme in the restaurant’s decor. 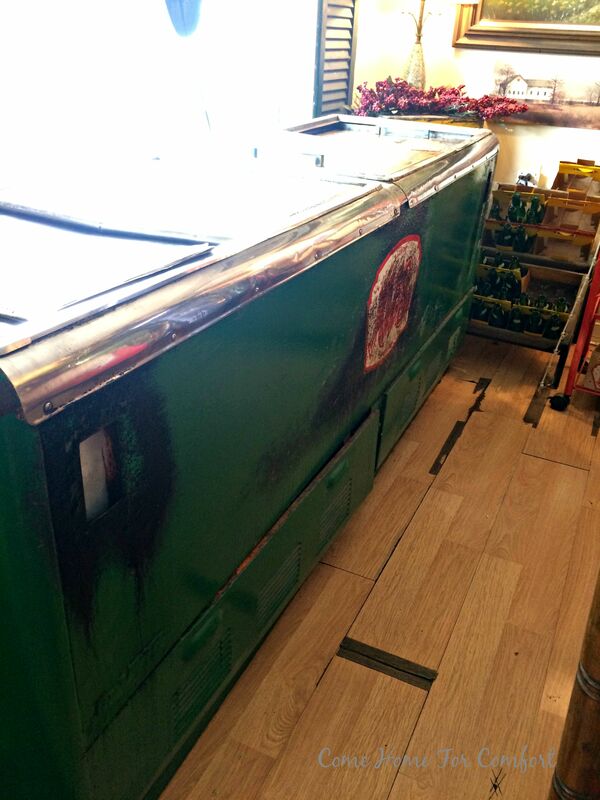 Just inside the door is an old Ale-8 chest beverage cooler. You order from the day’s menu posted on white boards behind the counter. 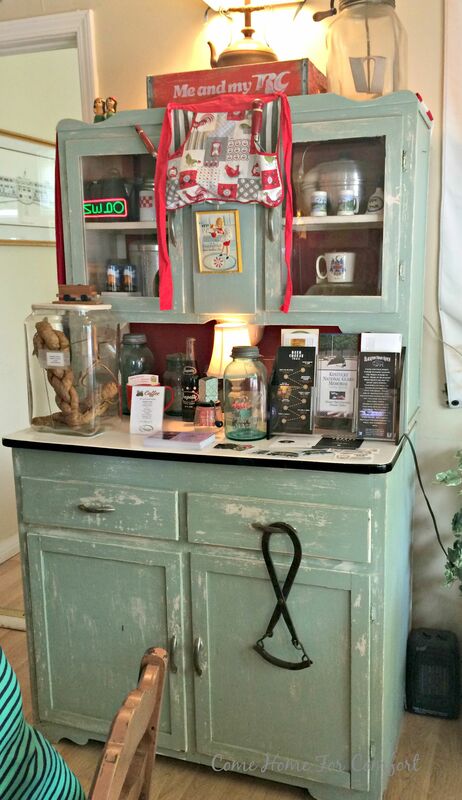 This charming old Hoosier cabinet, full of local antiques (and a jar with Kentucky tobacco) is to the right. It was busy in the restaurant, and to avoid getting unsuspecting locals in my photos I didn’t take pictures of the counter or menu. 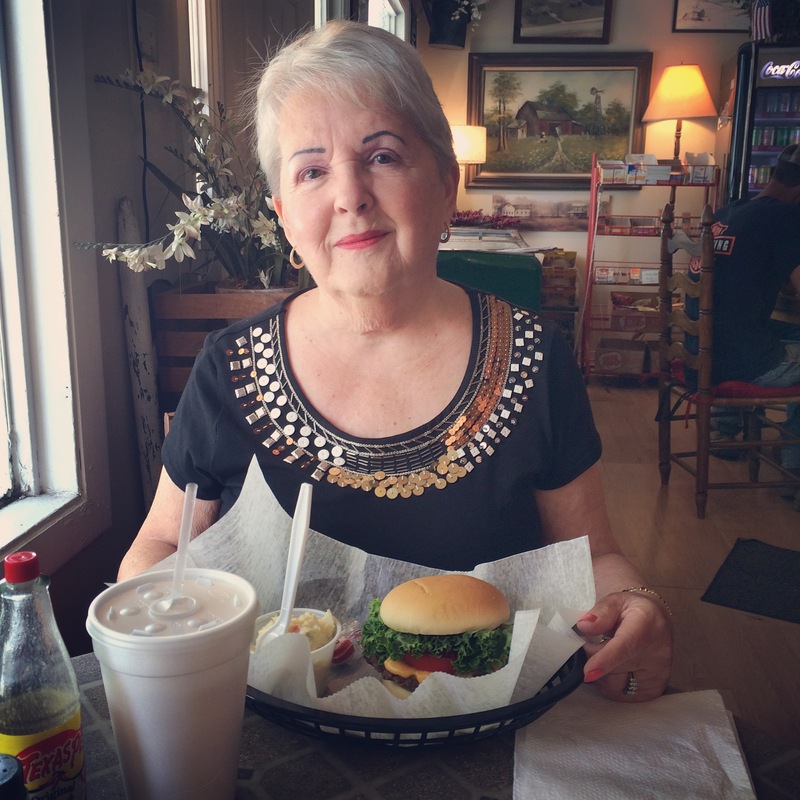 Nana and I both ordered the beer cheese burger. It was delicious, smothered in melted beer cheese and served with potato salad. 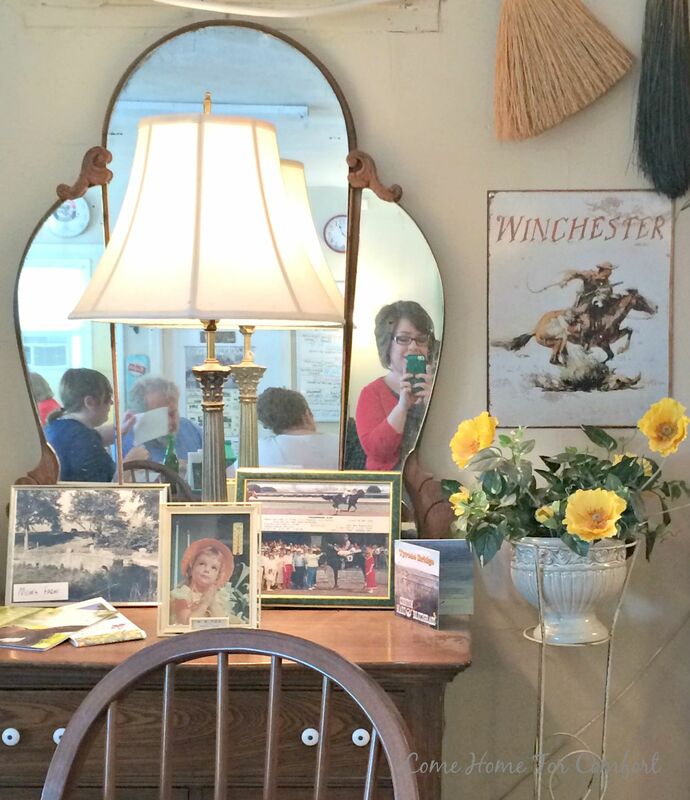 The main dining room is packed with local antiques and more Ale-8 memorabilia. I enjoyed taking in all the local culture – it’s truly a slice of Americana! P.S. 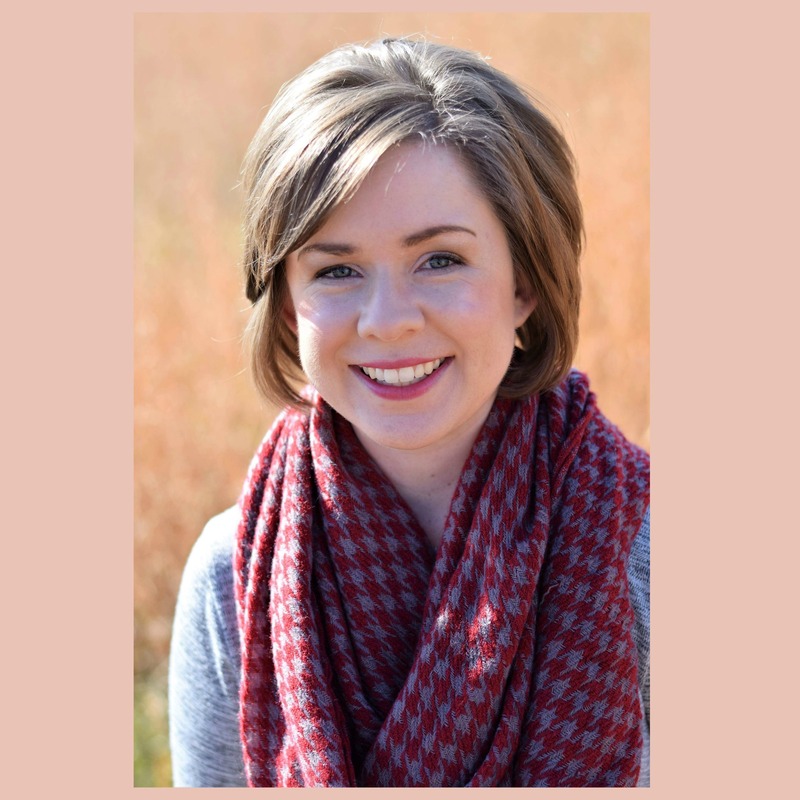 Today is my friend Della’s first blogiversary! She has a great giveaway on her blog today – jump over to Della Devoted and help her celebrate! Looks like a sweet place. The food looks delicious and the decor is so charming. I can see why this would be a favorite stop for you. I love local restaurants like this one! It looks so quintessentially Americana! Love it!!! And I read “beer cheese” originally as “butter cheese”. And I was planning on asking for clarification, until I read it again 🙂 Funny fact for you! HAHA! But that burger does look yummy! Ok, we DEFINITELY need to eat here the next time you’re in! It looks so quaint. I love places like this! 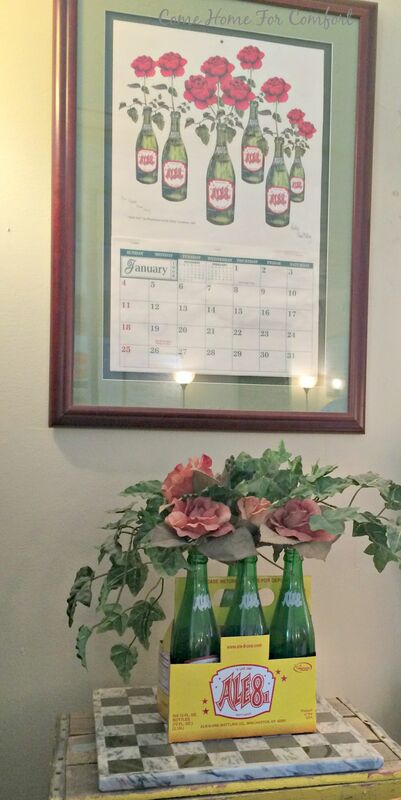 Love all the Ale-8 decor! 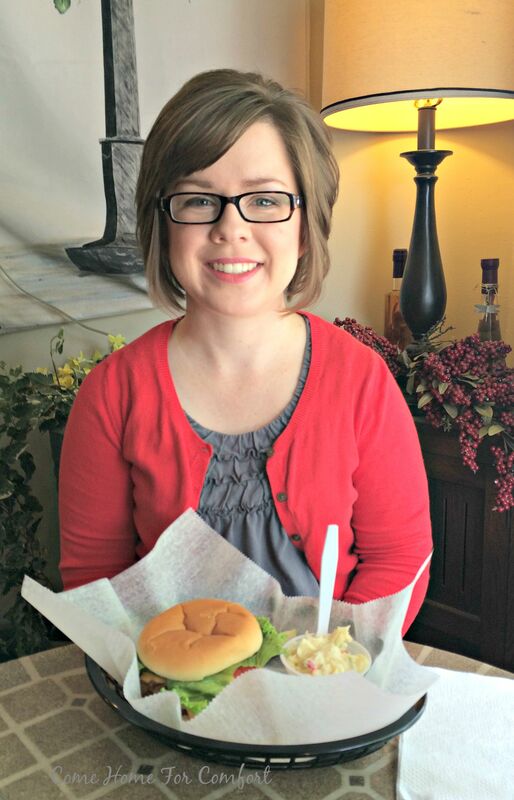 Whitney, you did such a fabulous job of describing JK’s, and the lunch we had there. I am so glad we are close to this place, you are right a great piece of Americana. That burger sounds delish!! And I love the decor. I am hoping to do something along those lines in our cabin to be. As always I love your Kentucky posts…though we lived in Louisville, which is very different from most of the state. That would be SO cute! 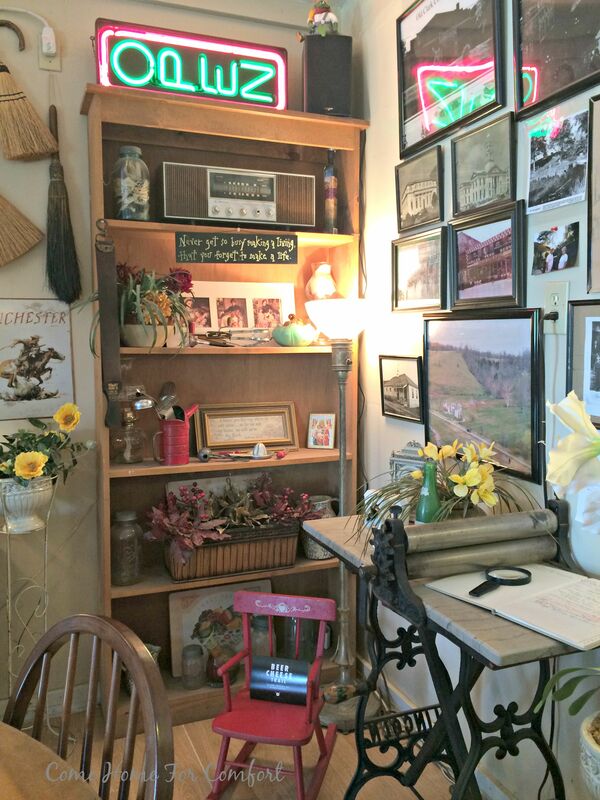 I would love to have even a room all decked out in local antiques like that. Wow, this sounds like such a nifty place! 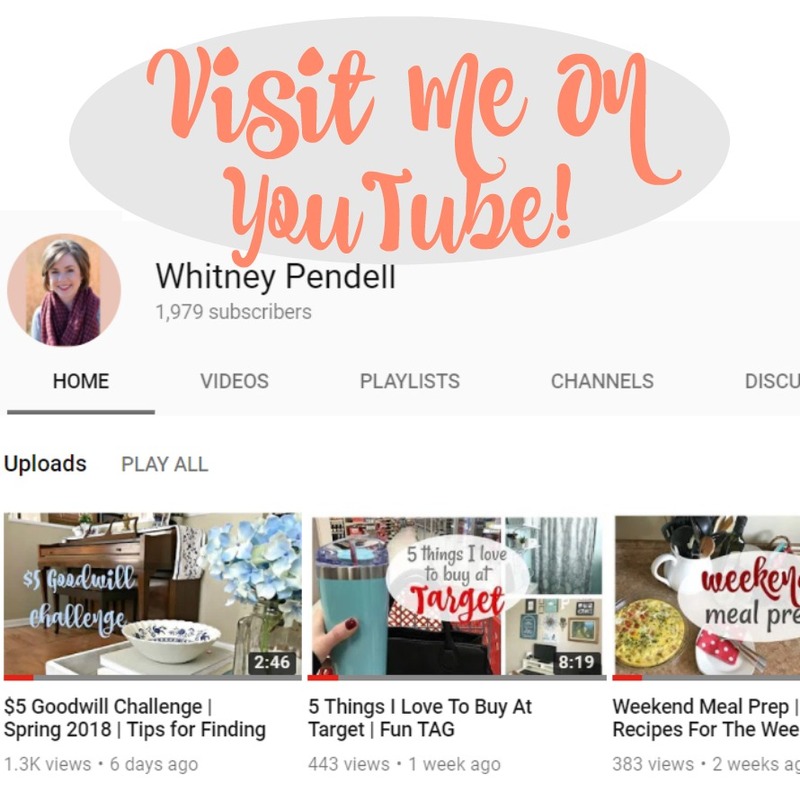 (And I love the name!) Thanks so much for sharing. If we ever get to Kentucky, we will have to check this one out for sure. It’s so cool – I hope you can stop there sometime!